Do you enjoy using body oils that help with cellulite and to firm up your skin but hate having to pay out so much money for them? Then how about making your own? This simple DIY blend is cost efficient and is tailor made to you! "Poor circulation is cited time and again as a causative factor, which is why massaging with essential oils is such a great remedy for cellulite. This powerful combination increases circulation and helps with the elimination of toxins by unblocking lymphatic congestion, and when done correctly, massage helps break up the fatty deposits too. Cellulite always looks much worse if you are suffering from fluid retention, and massage activates the lymph vessels and nodes which help to transport toxins out of the body. The use of the correct essential oils facilitates this action, and there are several ones to choose from to make up a blend." 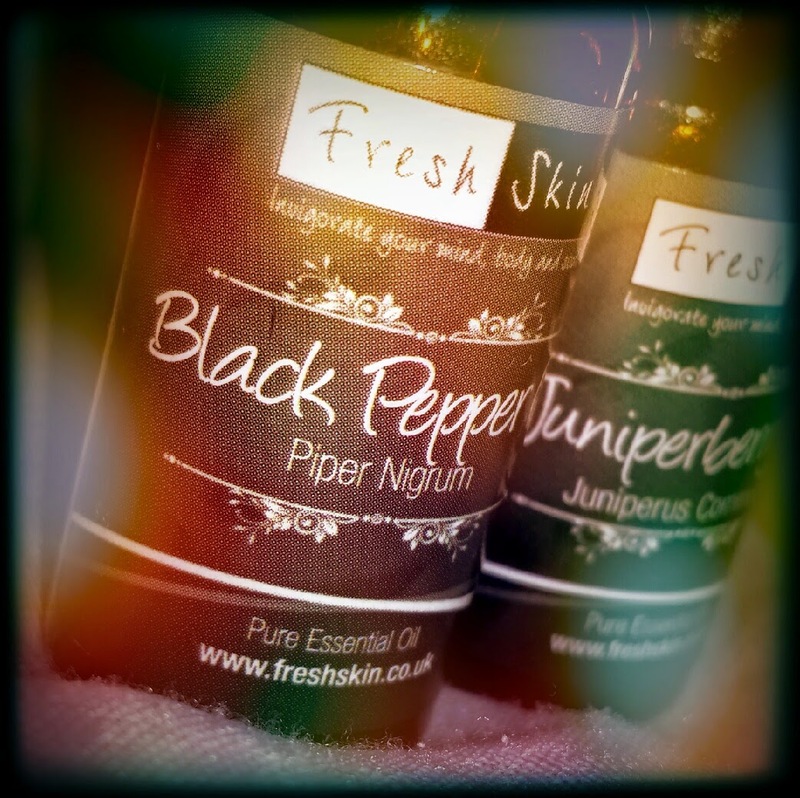 Two well known oils that are commonly used in anti-cellulite blends are juniper berry and black pepper. 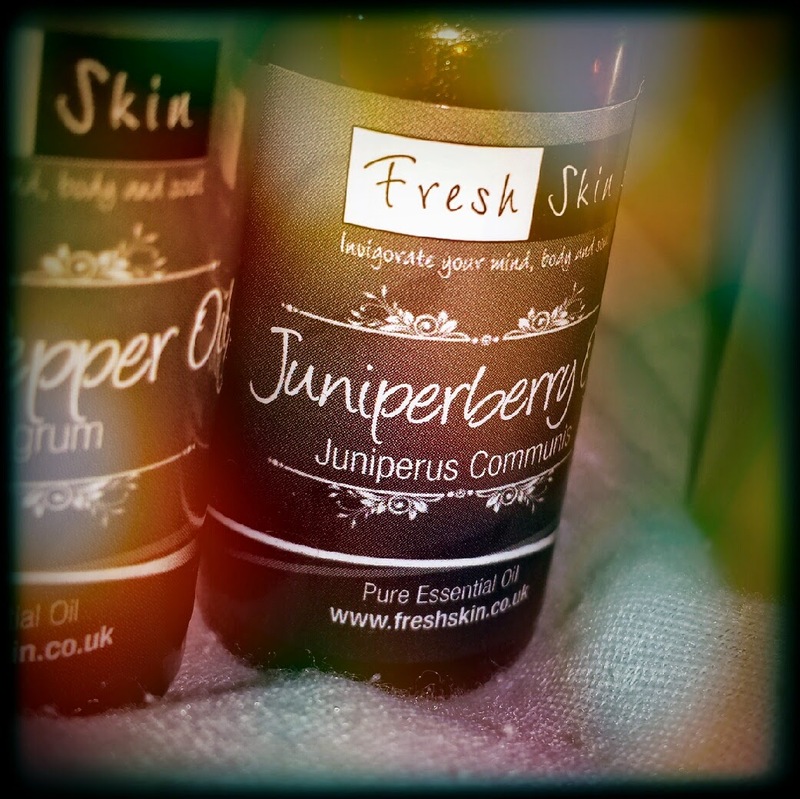 Juniper is a diuretic, which helps to break down fluid retention, and black pepper helps with poor circulation. 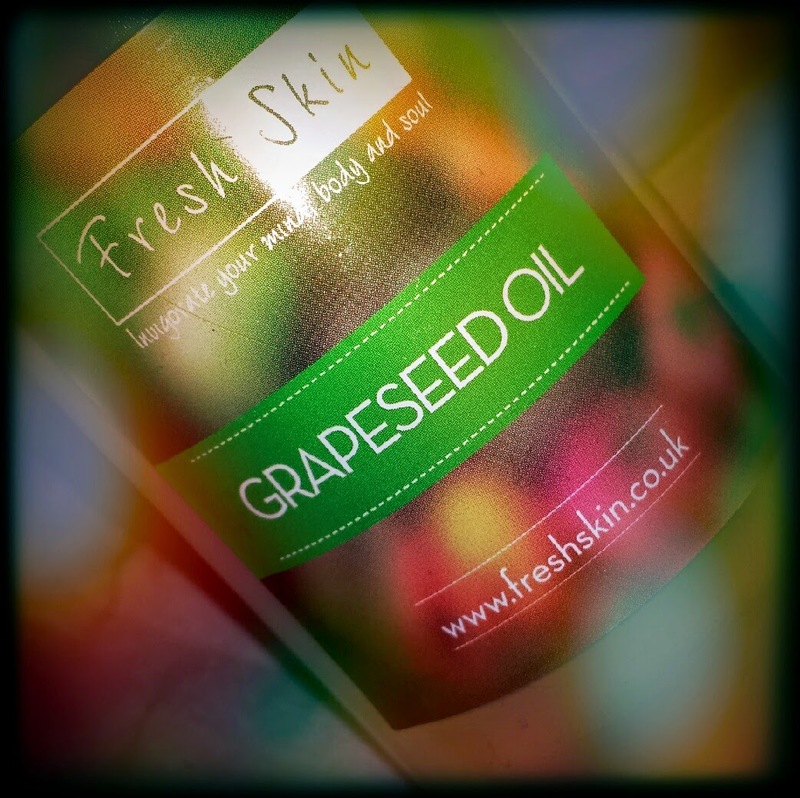 In addition to these essential oils, grapeseed oil as a carrier oil helps to tighten the skin as well as being a natural moisturiser. *Before starting, I would like to clarify that I am not an expert in aromatherapy or producing skincare products but I do enjoy experimenting with my own blends. Any recipe that has been posted on my blog has been tested out by myself before even being considered as a post. However, if you do have any bad reactions to any DIY recipe posted here, please stop using the product straight away. Also, please do keep essential oil safety in mind when applying them anywhere! You can purchase bottles from Amazon, as well as essential oils and carrier oils. Begin by adding your grapeseed oil to your empty bottle. The amount is going to depend on the size of your bottle, how much you want to make and whether you are adding other carrier oils alongside it. If you want to make a full bottle, fill it up by two thirds for now and you can add more at the end. Therefore, if at this point you would like to add another essential oil or two for their different properties, you will need to add them in with the juniper and black pepper. In addition to these two, I added lavender for it’s healing properties and a couple of drops of sweet orange and bergamot and a drop of lemongrass for scent purposes. I wanted a citrus-scented oil, so the small addition of these oils was enough to provide the scent without dominating my total amount of essential oil blend. You do not have to add these oils and alternatively you can choose different oils! Once your essential oils are added, you can either top up with more grapeseed oil if you feel that your ratios are imbalanced, or you could add other carrier oils as well. At this stage I added some rose hip oil, coconut fractionated, jojoba, argan and sweet almond oil. I didn’t add an overload of each of them, but enough to create an overall blend that I was happy with and balanced out my ratios! 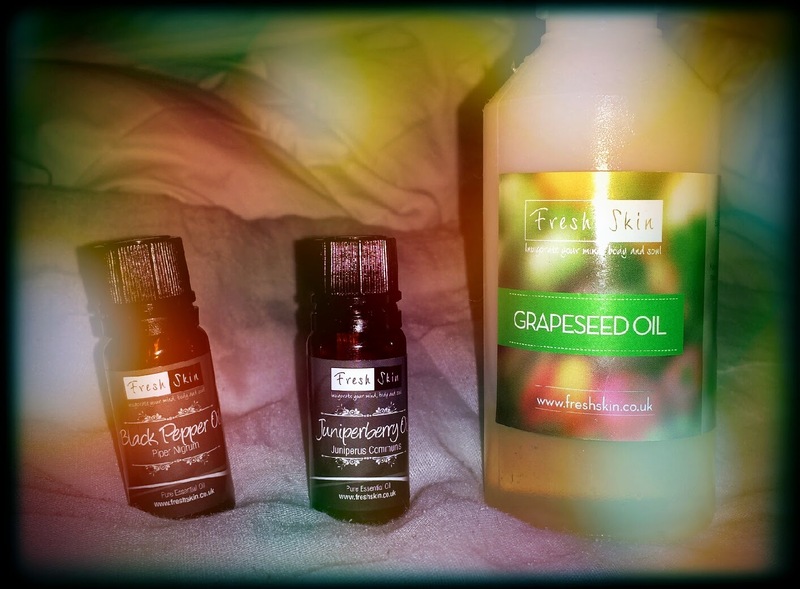 If you are interested in the additional carrier oils that I used, please read this post which has more info about them! Re-apply your cap and shake. When it comes to application, I recommend applying it straight after a bath or shower whilst the skin is still damp. Also, whilst the oil is still in your palm, rub your hands together to slightly warm the oil. This makes it easier to apply and the oil spreads further. Since I have been using this blend, my skin has been looking and feeling smoother and firmer. I'm incredibly happy with it! In addition to this oil, if you are looking to battle cellulite then definitely check out my post about the amazing Cellu-Cup! For more DIY beauty, check out my DIY beauty section! Have you ever given something like this a go? What is your favourite DIY beauty recipe? It really is! & It's so easy to personalise it too. Why I like La Mer: It actually works. It moisturizing, and the Vitamin A and amino acids in the product really do rejuvenate my skin. Window Cleaning Bayswater and surrounding areas, Simon your local Bayswater window cleaner has decades of experience. We service Residential Bayswater Window Cleaning Clientele as well as Commercial Window Cleaning Customers. Need an end of lease Window Clean? No problem, call your local Bayswater Window Cleaner, Simon, most jobs available within 48 hours! To book our service, simply call us on 0449254298 or click on our "Chat" icon, below. So, for professional Bayswater window cleaning, call Simon today. We combine old fashioned courtesty with great quality work! Tutorials and resources for creating tracks for advice on how to mix music and how to produce music and also the best tips and tricks for music production.